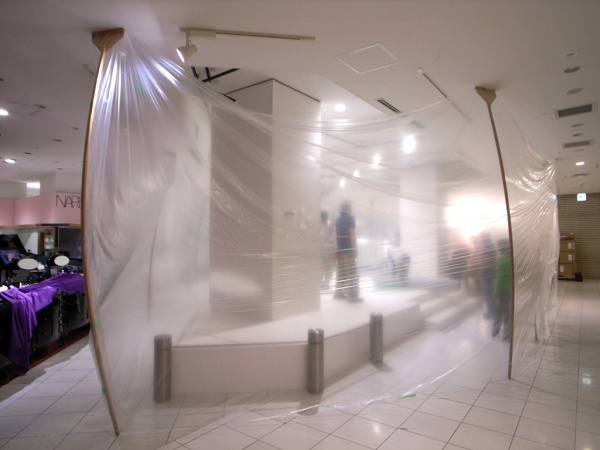 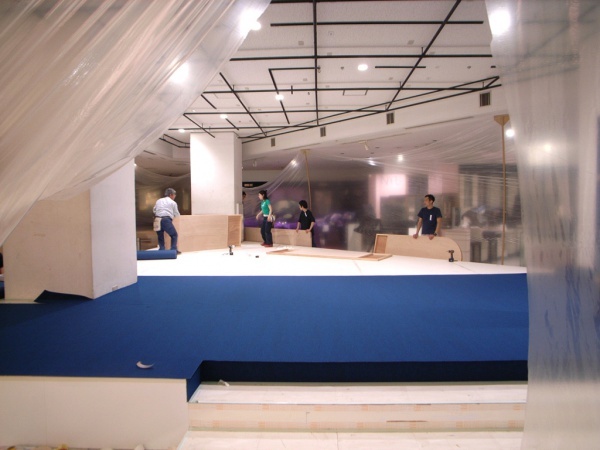 Building site: ISETAN SHINJUKU 1F " The Stage "
The Stage is a triangular exhibition space located on the 1st floor of Isetan department store in Shinjuku where various one week events are held, offering great visibility to them since the platform can be accessed from three different directions. 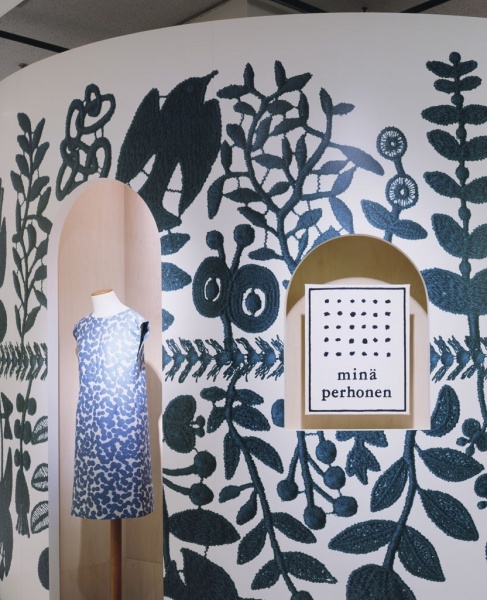 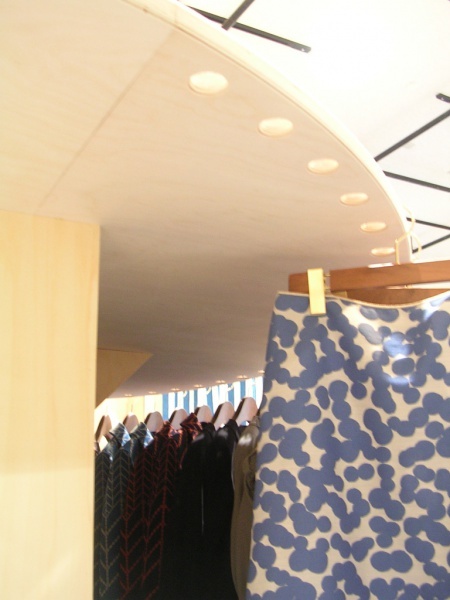 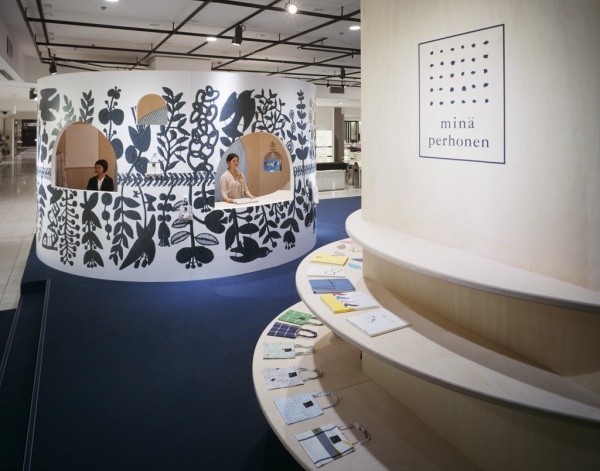 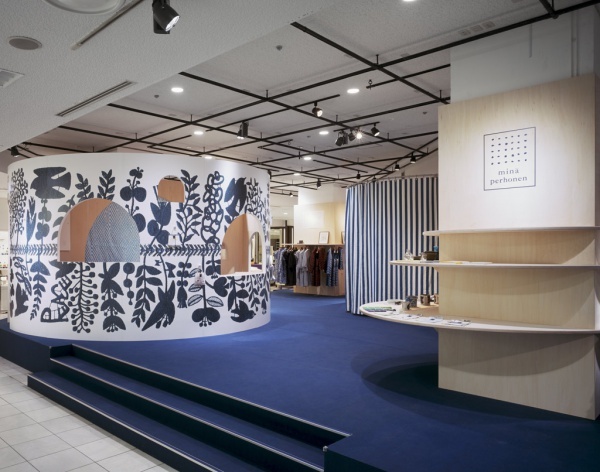 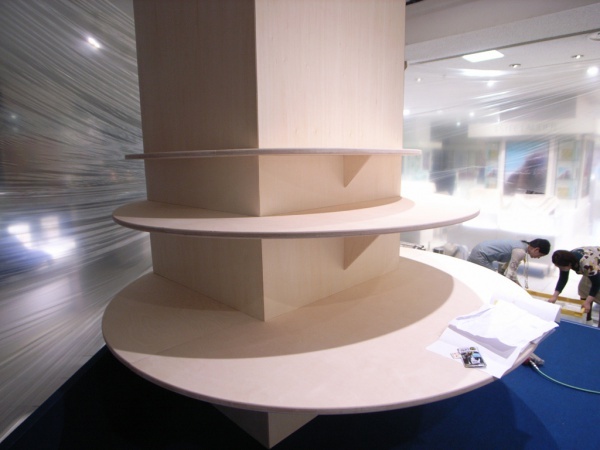 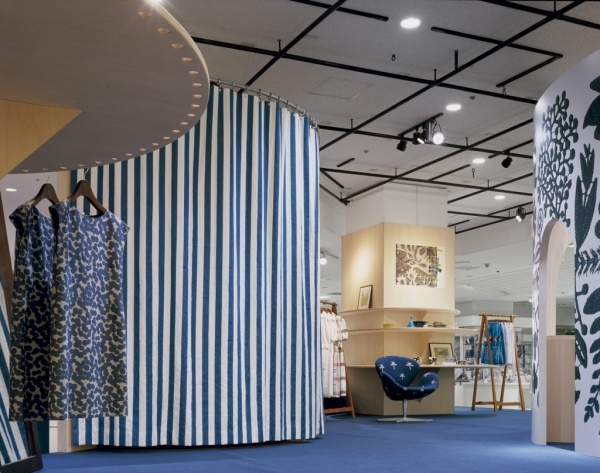 We took advantage of these conditions by creating a circular display booth for minä perhonen that would allow customers to approach it from any angle and appreciate the fashion brand’s exclusive fabric patterns applied on its outer surface. 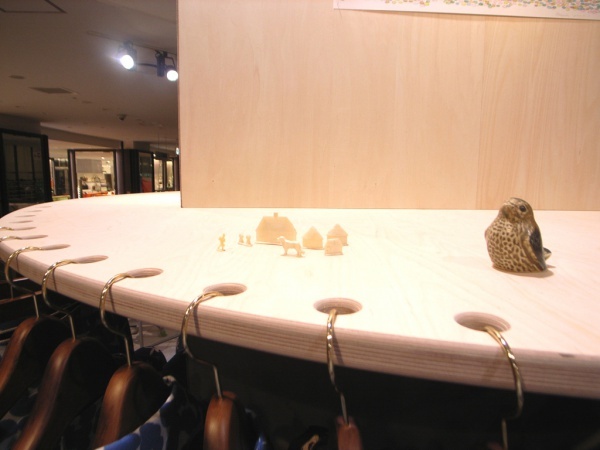 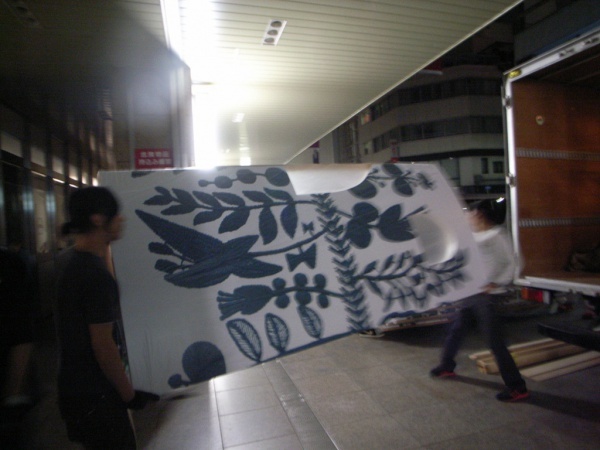 The temporary exhibition being expected to be held the following year; we envisioned the image of a circus travelling from town to town, eventually returning to the same marquee.